The toddler program at Xavier accepts children who are 12 months and walking through 24 months. This is an exciting time for children as they begin talking, forming relationships with other children, and refining their motor skills. The toddler classroom at Xavier is designed to help children develop new skills and improve existing ones. A daily schedule for the toddler classroom provides children with consistency and predictability, but is also flexible enough to accommodate individual toddler’s needs. Toddlers construct their learning through using their senses. During this stage, children use toys to understand cause and effect. Toddlers actively explore their environment and we are committed to providing activities to increase cognitive development. We encourage imaginative play to help develop the use of language and social interaction. We also encourage participation in art, allowing a child to be expressive, creative and build a sense of personal accomplishment. 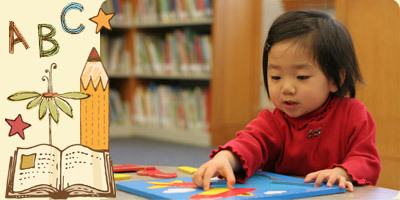 The Xavier toddler teachers provide children with an environment that is engaging and exciting. The teachers prepare weekly lesson plans that include daily circle time, structured activities, and free play. Teachers are actively engaged with the children throughout the day, supporting their play, conversing with children, and providing love and encouragement.